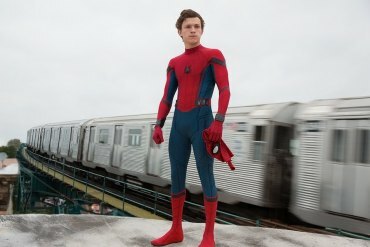 Although the weekend belonged once again to Stephen King's "It" followed distantly by "American Assassin" and "mother," it marked the 11th weekend for "Spiderman Homecoming" to finish in the Top 10 boxoffice rankings. "Spiderman" joins "Beauty and the Beast," "Hidden Figures," and "La La Land" as the fourth 2017 film to precedent. 2017 becomes the first year since 1999 to have four films remain in the Top Ten elite, according to Boxoffice Magazine based on film industry totals. Only one other year during this century has even seen three films reach 11 weekends in the top 10: the year 2003. Every other year this century saw either two such films, only one film, or even zero — as occurred in 2015, 2012, and several other times. 2003's top films included Lord of the Rings Return of the King, Finding Nemo, Pirates of the Caribbean Curse of the Black Pearl, and Matrix Reloaded. It’s still possible another title could reach the 11-weekend mark before this year is out. Dunkirk, currently in its ninth weekend in the top 10, is a dark horse candidate. What is causing this level of longevity, unprecedented in the modern era? The trade publication analyzed, "Chalk it up to a combination of quality titles that audiences loved, along with an at-times lackluster release schedule that didn’t always provide steep competition." The historically poor August helped Spider-Man to stay near the top, unlike most superhero movies which open high but then fade fast. Factor in its 93 percent Rotten Tomatoes score and positive audience reception, and you have a film still playing in theaters nearly three months after opening.